Few are aware — families included — of how important family therapy is in overcoming addiction. Learn why this is so, what codependency is, and how family therapy benefits all. While an addict has to make the choice to seek treatment in order to recover from drug addiction, family therapy plays a vital role in helping an addict recover as well. Alcohol and drug addiction has a negative impact on the addict and their family. It is common for members of the family to take the first steps in getting help for their loved one by addressing the issue, staging an intervention and signing him or her up for rehab — but the family’s role does not end there. Transitioning from active addiction to rehab treatment is not an easy thing to do. It takes determination, courage and a lot of patience. Many people are so consumed by their alcohol or drug addiction that they may refuse to get help. They might not even view their consumption as a problem. It may take several family members to stage an intervention and talk to their loved one about their addiction. The positive side of this is that members of the family are in an influential position. Family members who come from a place of concern, compassion and love may be able to persuade a person into realising that they have a problem. Making sure a loved one attends a rehabilitation programme is the best way to help them overcome their addiction and regain control of their lives. When a person is battling addiction, they experience a number of consequences such as health, financial and relationship issues. Addicts tend to deal with these problems by being in denial, lying or being absent and in some circumstances even resorting to violence. This often causes family members to adapt their own behaviours as they go through an array of difficult emotions that do not just go away when their loved one starts to receive treatment. Many family members have feelings of fear, anger, loneliness and resentment by the time their loved one seeks help. Family members have to address the issues surrounding the addiction in order to heal themselves, and to help their loved one to heal as well. An addict in recovery is putting in the effort to confront all aspects of their addiction, and family members need to learn the proper ways to lend support. Engaging in family therapy has been found to be an essential factor of successful and effective addiction treatment. The Journal of Marital and Family Therapy, Family Therapy for Drug Abuse: Review and Updates 2003-2010 states that ‘family-based models are not only a viable treatment alternative for the treatment of drug abuse, but are now consistently recognised among the most effective approaches for treating both adults and adolescents with drug problems’. Similar findings were also reported by the NCBI and are discussed in detail in Chapter 1: Substance Abuse Treatment and Family Therapy. Taking part in family therapy is a crucial part of the recovery process. A good family therapy programme should have two elements. The first is psycho-education — provided through lectures, discussions and group meetings that help families understand the various aspects of the disease and their role in it. The second is coaching and counselling where the family members and the addict work together under the guidance of an experienced therapist to address issues and find solutions going forward. Therapy helps the family gain a new perspective on addiction, as well as on their own behaviour. It helps help family members realise what their negative behavioural patterns were, such as enabling and codependency, prior to addiction treatment. Many families do not realise that they actually unintentionally assist in the person’s addiction by ignoring the problem or acting as though nothing is wrong And all too often, they promote the addiction by shielding the addict from the consequences of his/her addicted behaviour — such as making excuses for the addict or bailing them out of financial or legal problems. 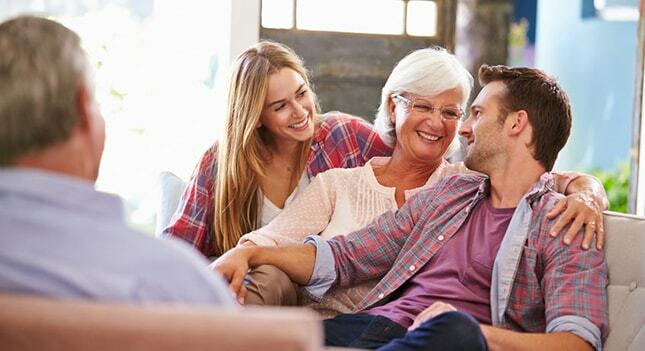 An important part of family therapy is to make family members aware of their own behaviours or the roles they have taken up in order to cope with the addiction in the household and then guide them in breaking any cycles of enabling or codependency. Controlling behaviour — It is a common belief amongst family members that the addict is not able to take care of themselves, which causes them to become controlling in a variety of situations. Low self-esteem — Family members of addicts try to maintain a ‘perfect’ persona in order to please the addict. This often stems from the belief that the addict will stop using drugs or alcohol if they become ‘good enough’. Dependence on outside approval — Forfeiting one’s own values to evade negative reactions such as anger or rejection may lead to excessive and consuming people pleasing. Neglecting personal needs — The belief that they are being selfless because they are doing their best to take care of the addict is a sign of enabling that is damaging to both parties. Without addressing these issues through family therapy, the addict’s likelihood of long-term recovery is greatly reduced because only one aspect of the addiction is treated, instead of the whole. Mixed in with the enabling and co-dependency issues is also a lot of stress, anxiety and depression for the family. An effective family programme addresses these issues and gives family members the appropriate tools to cope with these factors. It also helps them to develop resilience when faced with these difficulties. The Cabin Hong Kong offers comprehensive addiction counselling services through an outpatient centre. Its Family Programme is designed for family members of addicts and is an educational and supportive group where they can learn more about the recovery process, begin healing and recovering from addiction, and participate in the addict’s recovery. The professionally run group also helps its members to address issues as they arise on the addict’s path to recovery. In addition the family will have access to private counselling sessions between them and their loved one, when needed. The Cabin Hong Kong’s Family Programme takes place on Tuesday evenings from 6:30 to 8pm. For more information, contact The Cabin Hong Kong today.